n a self-Googling exercise) I thought I'd see who else might appear. There follows a list of yudansha I recall. Are you, or do you know, any of these people? Dave Roberts, John Brackley, Geoff Annan, Dave Pizzey, John Schneider, Claire Schneider, John Brown, Tracy Marks, Chris Howard, Harry Abbot, Ashleigh Toms, Eddy Finch-Hawkes, Mark Gater, Peter Longford, Martin Bampton, Rodney Foster. L-R Frank Kelly (now deceased), Martyn Skipper, Mark Gater. Just a couple of lines my name is Stuart Copping and I started with you some 25 years ago! I got your email address from your your website. 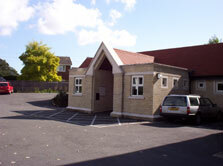 Do you remember the lessons in the Hall at Church Road Biggin Hill, I think my first lesson was in about 1977-8 not to sure. I remember you coming with Frank, (I was sad to hear on your site he died, how old was he?). Glen took the first classes then it was taken over by Dave Roberts, Tracey and some other guys. We had to leave and go to the Airfield in that big hanger, did you go there? It was freezing, I landed up pulling a ham string, took years to recover without any medical assistance. Only got to Green Belt I was just about to go for Blue I think. Like most people I landed up dropping out then, firstly through injury and then other life events, Women, major illnesses etc. 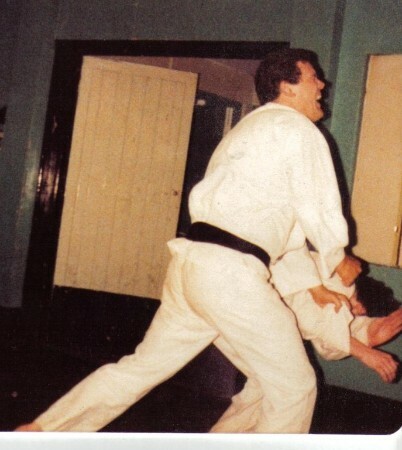 However I always look back on those days with great affection, sometimes used to wonder if Judo would have been more suitable for me. But like most boys of that time it was "cool" to follow Chuck Norris and Bruce Lee. I must admit that over the years I have never really come across Henka-Ryu as a style. From what I can remember it was imported from the USA is that right? 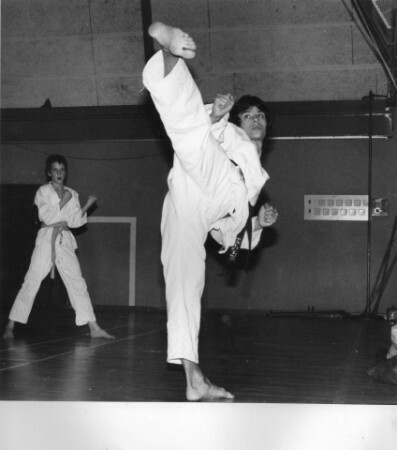 Do you have any history about it, I have supposed it was an off shoot of Shotokan. I see you now also live in the North, I have been in Scotland for 14 years. My son started TKD about 3 years ago just before he was 5. I was not sure about it really, to start with having done Karate, but he loves it and it is well run for that age group. And broken down into manageable pieces for them. However I got cornered by a couple of the black belts, who persuaded me that 44.5 years old was not too old to start training again. At nearly 46 I am still there anyway! Sore knees and the rest of it! I must admit after the initial shook to the system, it was amazing that from a very low level of fitness I was able to build up strength, and flexibility quite quickly. I am sure doing the stretching in Church Road Hall 25 years ago actually helped keep me fairly supple. Also that the muscle memory of the Kata's still stick with you. 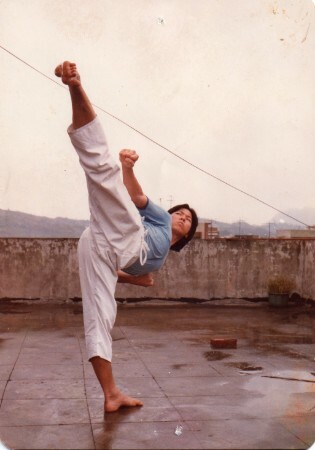 My instructors always remark on how my moves are still very Karate especially in the stances. 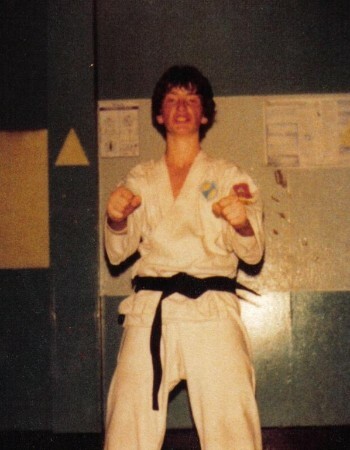 It was also an aim to get a Black Belt if its in TKD so be it! Even if I will be over 50! even at twice a week. Anyway my brother Adam sends his regards he was in one of Frank's classes (I think at Dalias Hairdressers) He found your site and told me about it. Adam now lives in Canada, and I keep trying to get him to start Martial Arts again. It is great to see some of your old pictures especially you and Frank, I wish I had some. I think you are an inspiration as to what can be achieved with some dedication, well done Martyn. I discovered your web site today and I think I may be one of the folks you are looking for. 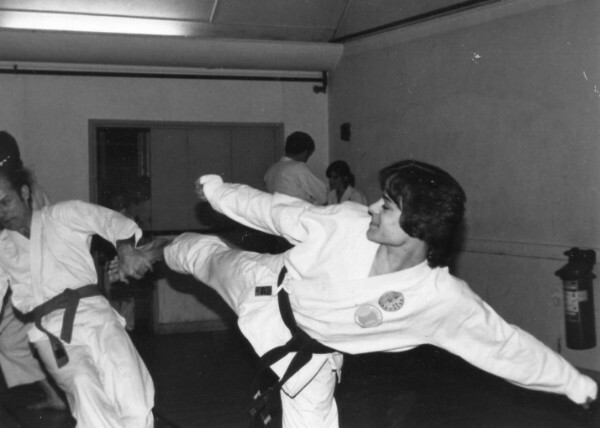 I trained under Dave Roberts - initially at Biggin Hill and than latterly in Welling and Swanley. I stumbled upon your site whilst trying to actually track Dave down - but no luck. 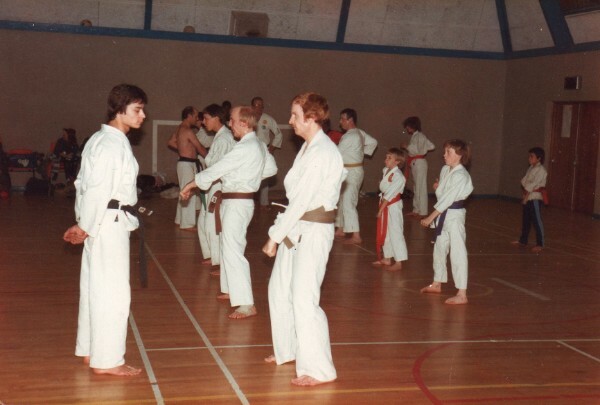 I was with Dave from approx 81 through 86 - getting my Black Belt at the IBF Summer Camp in 83 or 84 I think - will look it up to be sure. I remember Martin Clarke (and his Dad Nobby - God bless him) very well and a number of drunken European tournament jaunts! I'll dig out some old photos and magazine articles we featured in, scan them and send them on soon. Your name really rings a bell although I can't actually remember meeting you in person - apologies! Nontheless - thrilled to find your site and the kindling of old memories. By the way - I am no longer practicing - although still remain fit and can hit front splits and am about 6" off box splits - not too bad for a 48 year old! I had another look at your Henka Ryu site last night. Well done for getting Fourth Dan. That really is quite some achievement. I thought you would like to know I am still training twice a week. I started from white belt again and since have done two gradings, and am grading again at the end of October at their Winter School. Daigaku Karate Kai - Goju Ryu is a tough club. Apparently my technique is good, I'm just not tough enough. I'm OK against people my own size but have a fair bit of trouble with heavier people (Not necessarily taller). They are all solid muscle and have the lungs of whales! I feel honoured to be taught by Gavin Sensei and we now have a club of over 60 people with over fifty percent black belts. I went to their summer camp in July and witnessed their first and second dan gradings (After taking my own 8th kyu). Weapons are included. 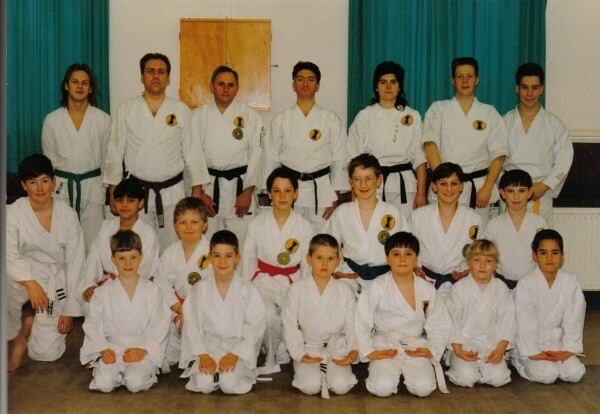 The second dan grading was a 30 man kumite. This was fascinating to watch as well as quite emotional as I knew the people going through it. Thanks again for recommending this club. I intent to stay the course. I've also been remembering a lot about the old days at Kenka Rye (Not so old from your perspective). I started in 1989 at Dalia's, then on to the W.I. hall in Biggn Hill. 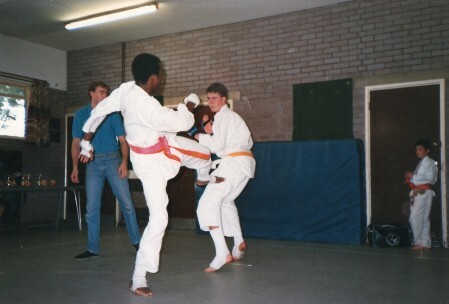 These were formative years for me training under Mark and Franks tuition with Eddy and Ash (Bash). 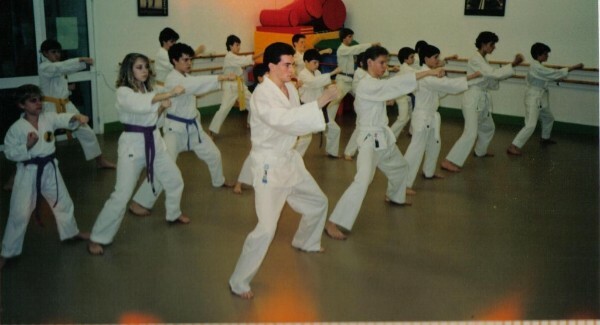 I still remember the kata. Yaburi Shodan, Nidan, Shintai Shodan, Nidan and Sandan, Yangsu and San Shin. 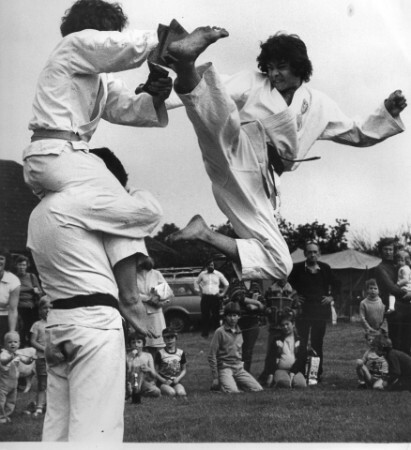 I have a load of photos from when I was a white belt and Eddy was a recently graded first dan doing a demonstration in Tatsfield. Can you give me an address to send these to you; You may like to add some to the Henka Ryu website. One thing in this Goju club that is completely new to me is Bunkai. 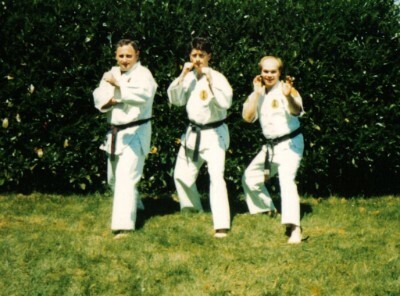 We used to train application of Kata in Kenka Ryu, but not drilled like Bunkai are. 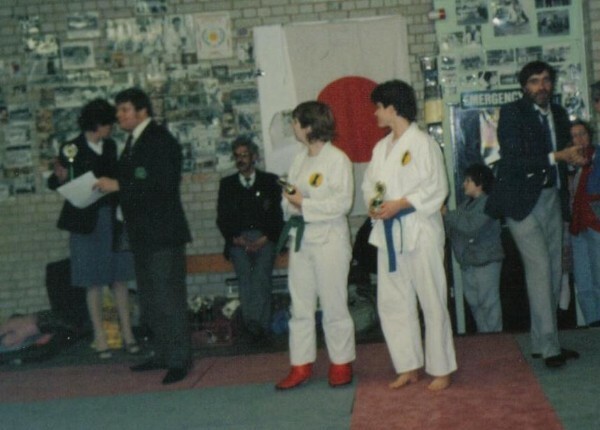 I was already black belt in Judo (As a junior) before ever starting karate, so Gavins club is good for this too as we take down and carry on grappling. My judo has been a life saver I'm sure! My fitness and strength level is several times greater than when I started at the end of February, but I still have a long way to go, along with conditioning. I've had several minor injuries, the worst of which is that I keep knocking the ligaments in my thumbs. I will now strap them up for every session. If you are in London, you should come along. I train on Monday and Thursday evenings at Westminster University (Regent Street) at half past seven. The club also runs from City University at 7pm on Tuesdays and in Kilburn on Fridays. In our last session we had visitors from the local Krav Magar class and two fellows from the Crystal Palace Kyokushinkai club. The Kyokushinkai guys faired a lot better but were not as used to grappling. I've also been in touch with Eddy. I think I've given him the bug again and he wants to come along too. He's just sorting his life out with his wife to be able to commit to twice a week, before actually coming along. 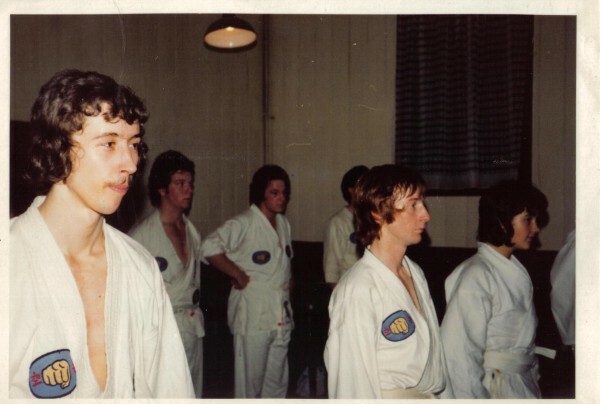 passed my black belt with these guys in 1977 in a little training hall in Orpington , we were then affiliated to the A.K.A we then joined Budokan International where we received life membership I could not believe it when I put the name Henka Ryu into the computer and to see the badge that I helped design with Glen Wylie and the rest of the other Blackbelts there on the screen some 30 yrs later. Everything you have said about the style is absolutely spot on we never stood back in kimute I still have some scars to prove it. 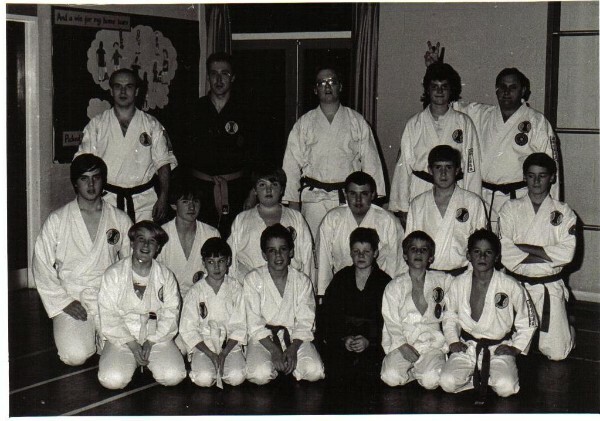 How I would love to hear from any of these guys and what they are doing today,we fought in quite a few competitions together perhaps they will come across your site the same as Glen and I have done.Although I keep myself fit at the gym I no longer take part in Karate but still do the same stretching exercises and and a little bit of sparring on the punchbag. 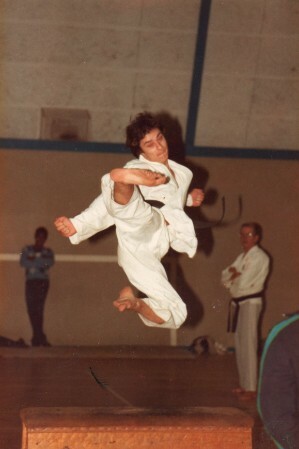 You have progressed in leaps and bounds and thank you for carrying on the name of Henka-Ryu Karate in the right way. I will keep looking at your site in the hope that some of the other guys contact you. If you hear from Glen Wylie say hello for me. I trained with Austin wilcox at Eltham London for six years. 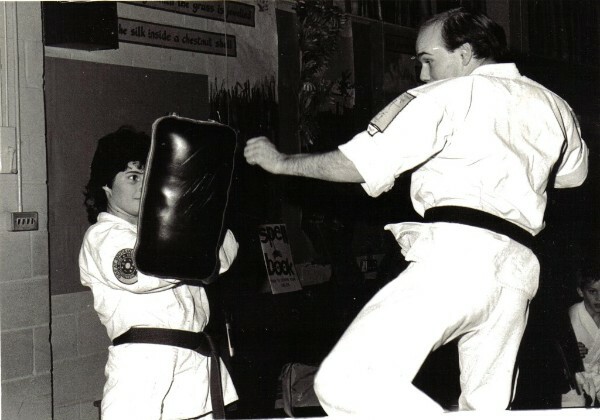 I can not remember his instructors surname but his first name was Rodney. We did compete against other Southern Henka Ryu clubs. They were based around the Catford area. I was about 11 years old so can not remember many details. I have a gym photo on my website www.ukwarriorsgym.com check out gallery and golden oldies. Long time an distant memories!! I achieved 7th dan eventually froo Chew Coo Soot Grandmaster of KBI long since dead. Thanks for getting back to me. 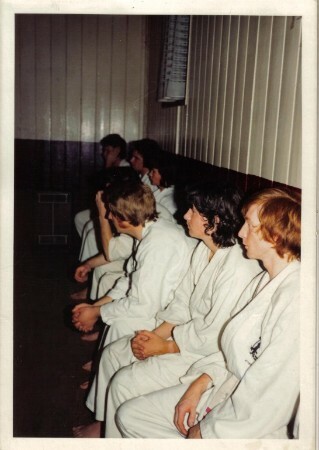 I trained at The Corination Hall (also know as the Tin Hut) in Orpington, around 1973/1974, onwards. 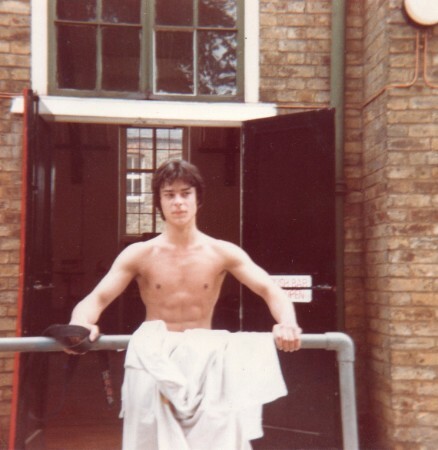 I started training at 15 with Glen and his Dad, John. I have many fond memories of the club and the other great chaps, along with many battles. It will be interesting to see if my first message will inspire any of the others to get in touch. I've many more stories I'd like to remind them of! Still think of everyone, I greatly admired everyone I trained with. They all gave me great encouragement. Now, I train privately instead of within a club. I do some private tuition from time to time. I would like to start training Henka- Ryu again as I mainly train unarmed combat. Glen and John inspired me to start my own clubs, over the years I've had around 10 clubs. Sadly as like many others its hard to find dedicated students who continue to train within the club. I shall think of a few other names to add to your list, I have two in mind at the moment... Big bill, Bill Vernon and Lewie, although I cant remember his surname. 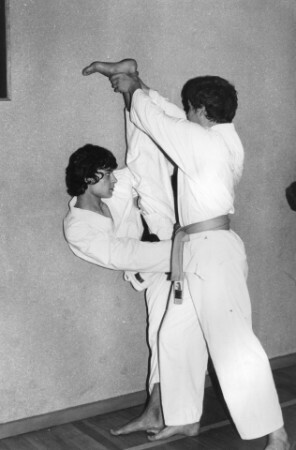 They were both black belts. Hope that's enough for now. I hope I haven't bombarded you with info! As I said, many more stories! Well done with your training and continue to fly the Henka-Ryu flag.